Previous image, 20 total items. Next image, 20 total items. 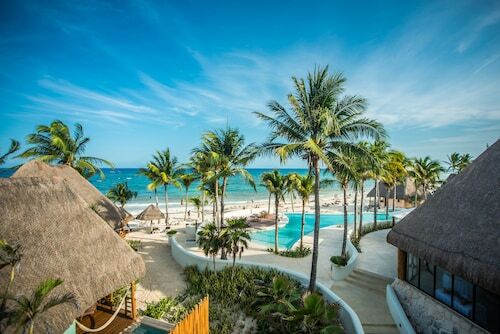 Secure a Playa del Carmen holiday package on Expedia today! This is one of the simplest ways of saving time and money for your upcoming holiday. Savvy vacationers who grab a package deal on Expedia will save as much as $200*. Our extensive database provides more than 400 partner airlines and 321 000 worldwide properties. With such a broad range to pick from, you can't go wrong! Unsure about your booking? You won't pay us a cancellation fee if you make changes to almost any reservation. 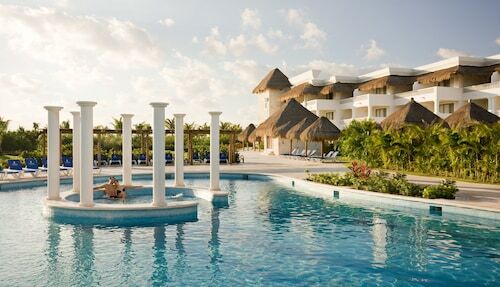 Preparing to embark on your Playa del Carmen holiday? Can't decide what things to include in your travel itinerary? Don't stress — we're here to give you some of our recommendations. 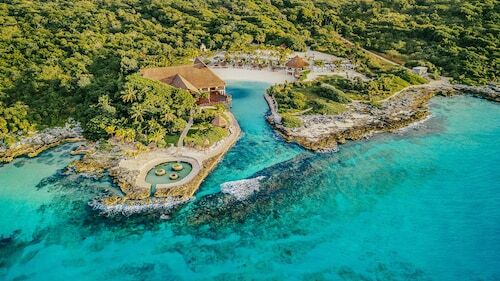 As you stroll around exploring this city's sights and sounds, make sure you look out for the El Camaleon Golf Club and Xcaret Eco Theme Park. These wonderful attractions will no doubt be one of the highlights of your day. Want to add some greater meaning to your adventure? Make the trip to Guadalupe Church. No matter what your spiritual beliefs, it's an excellent place to familiarize yourself with the local religion. Visitors in this destination are spoilt for choice. Are you in the mood for a picturesque evening by the water? Pack a picnic rug and find the best spot to enjoy a stunning ocean sunset at Mamitas Beach Club. Still got some time to spare? Getting out on the green is a great way to stretch your legs and have a real blast. 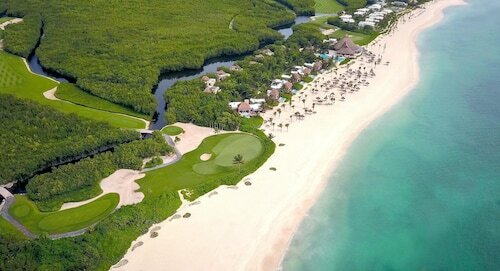 Sharpen up your skills with a round at Playacar Golf Club. When we think back over our travels, we usually remember experiences rather than our fancy hotel room and its view of the sea. Are you ready to make some new holiday memories? Check out the Playa del Carmen things to do page for a complete list. 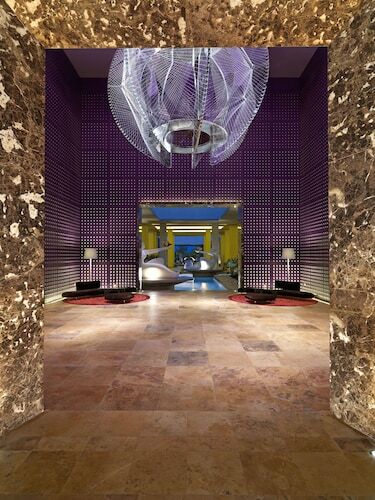 Playa del Carmen boasts 329 conveniently located properties, so why hesitate? Select your perfect accommodations for your cheap holiday or luxury getaway with the help of Expedia. After an exhausting flight, there's nothing nicer than kicking back in a fancy room and spoiling yourself with some room service. See what mouthwatering meals await you at the Ambassador at Grand Velas All Inclusive (Carretera Cancun Tulum Km. 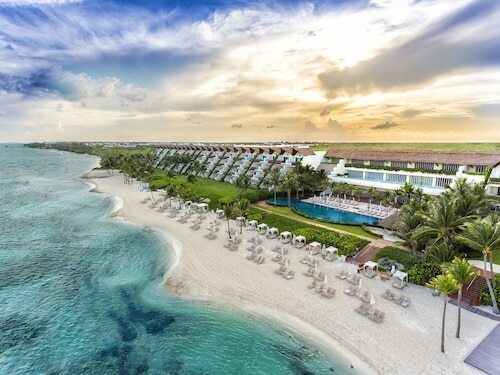 62) or the Grand Class at Grand Velas Riviera Maya Adults Only (Carretera Cancun Tulum Km. 62). If you'd prefer to spend your precious dollars on things like thrilling adventures and rowdy nights out, why not check out a few of our low-cost options? The El Faro by Bric (Calle 10 entre 5a y ZFM) and the Royal Palms by Bric (Calle 26 entre Avenida 1 y 5) are a couple of recommended ones. Cancun International Airport (CUN) is the gateway for most travellers going on a trip to Playa del Carmen. It's situated 30 miles (48 km) from the centre of town. Immerse yourself in the natural and cultural heritage of Mexico with a visit to this popular archaeological park. Meet the inhabitants of this “dolphinarium” for the experience of a lifetime. Explore the indigenous wildlife of Mexico with a trip to this former crocodile farm. Everyone was so attentive to us. They fruit snacks next to the pool were great. We were 2 adults and one kid and we all had lota of fun. Everything they offer was grrat, and the food was amazing. We tried all of the restaurants that were included, our favorite one was el mercado. located in a wild atmosphere, we liked to stay in this quiet, peaceful hotel. 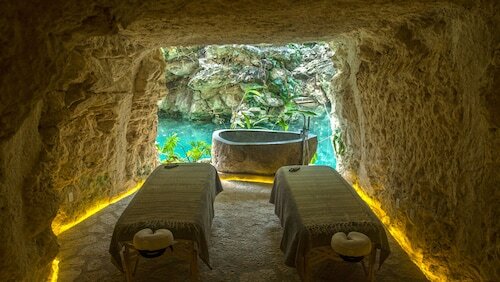 Only hotel to propose this type of "natural" hotel inside Playa del Carmen. Food is good but not exceptional. A bit expensive for the standard of hotel but staff is very pleasant. 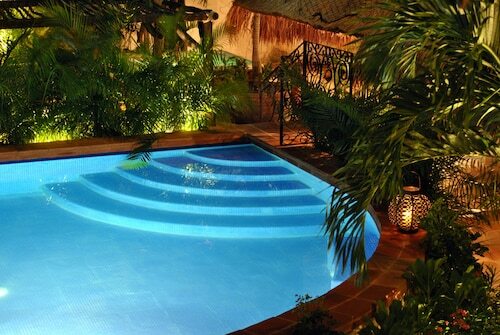 Great for couples since there are so many different pools/hot tubs. Staff is laid back and very helpful. Breakfast was great. Facilities well kept with pride. Would definitely recommend. Pool overlooking plaza is great. Spanish restaurant downstairs is excellent. The Grand Velas hotel was an amazing experience. I found the staff extremely friendly and they made an effort to make us feel welcomed where ever we went as well as they made an effort to remember our names. The Zen Spa was very unique and worth it to max relax. Great property, nice and friendly staff, would definitely come again! Sun., 9 Feb. - Tue., 11 Feb.
Fri., 11 Oct. - Fri., 18 Oct. Mon., 9 Sep. - Fri., 20 Sep.
Wed., 15 May - Mon., 3 Jun. Wed., 21 Aug. - Sun., 25 Aug. Looking for Flights, Hotels, Car Hire and Holiday Rentals in Playa del Carmen?